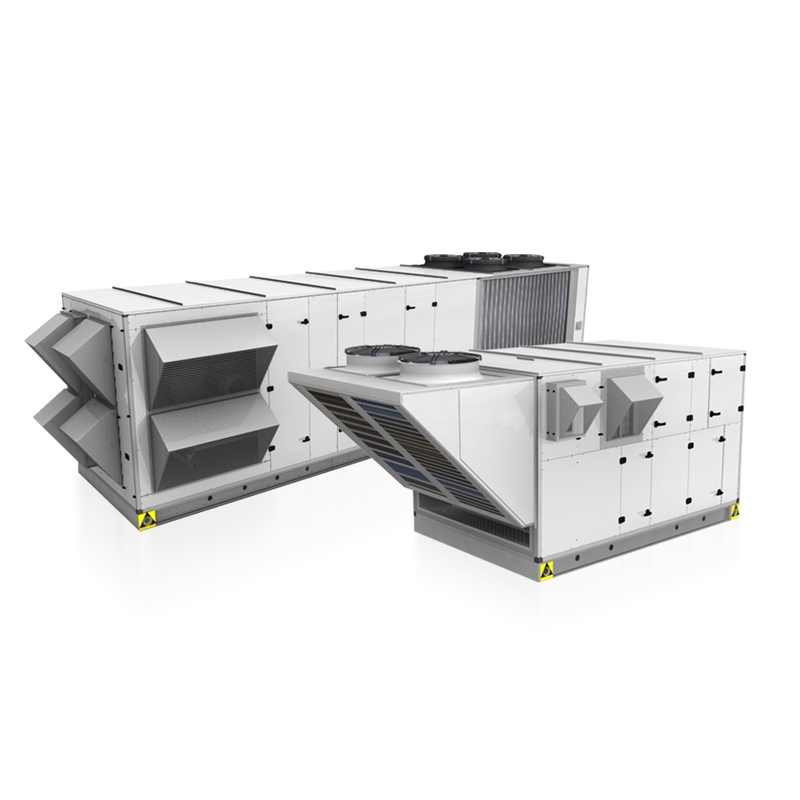 Stand-alone unit for outdoor installation available in 18 sizes from 36 to 318 kW, 2 versions (cooling only and heat pump) and 5 configurations. The casing is self-supporting frame in aluminum. The panels are sandwich type with double wall insulation injected polyurethane 60 mm thick. Suitable for air conditioning “all year round” of medium and large areas: commercial areas, highly crowded environments and industrial buildings. Thanks to the almost total configuration flexibility, the units can respond to a wide variety of application needs and uses, and can also be used in extreme weather conditions.